INDIANAPOLIS (April 30, 2014) — Klipsch, a leading global speaker and headphone manufacturer, announces today that it will serve as the primary sponsor for Sarah Fisher Hartman Racing (SFHR) on its No. 67 entry for Indianapolis’ inaugural Grand Prix on Saturday, May 10. The brand has served as an associate sponsor for the Verizon IndyCar Series team since 2013. Professional racecar driver and Klipsch brand ambassador Josef Newgarden will drive the No. 67 Klipsch Dallara/Honda/Firestone car in the first IndyCar race on the Indianapolis Motor Speedway’s (IMS) 16-turn permanent road course. The event will open the renowned “Month of May” at the IMS. Klipsch included Make-A-Wish® Foundation logos on the IndyCar as its philanthropic efforts make local children’s dreams come true. 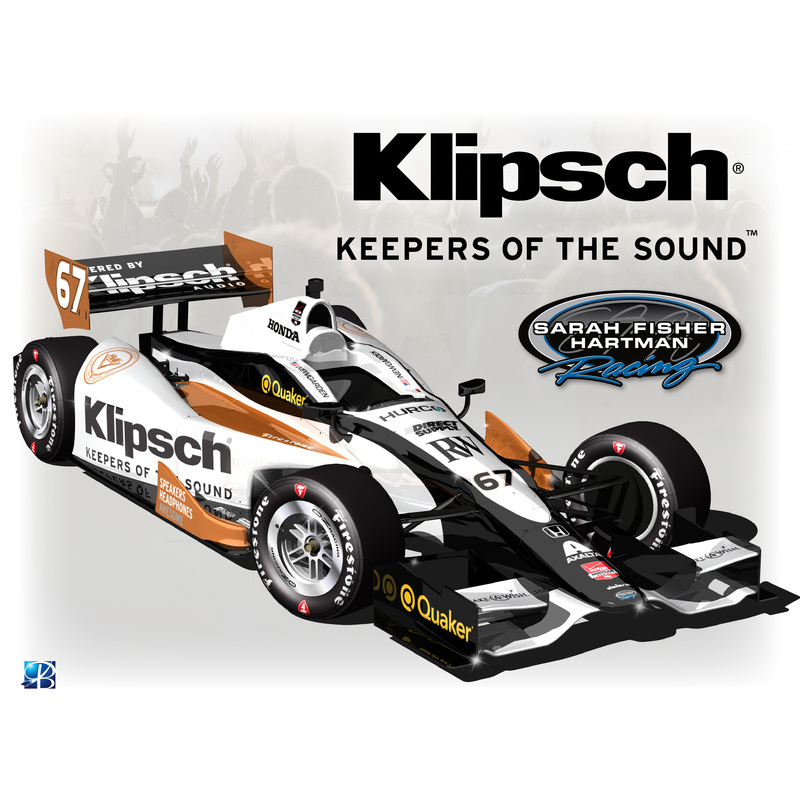 Klipsch will use Newgarden’s image on a full-size advertisement at the Indianapolis International Airport, creating increased exposure for the company’s premium products to fans flying to Central Indiana for the Grand Prix of Indianapolis and the 98th Indianapolis 500 on Sunday, May 25. To keep up with the latest news and updates leading into the Grand Prix of Indianapolis, follow @SFHRindy and @KlipschAudio on Twitter and Instagram. Sarah Fisher Hartman Racing (SFHR) was established in 2008 and is owned by former driver Sarah Fisher, the youngest woman ever to compete in the Indianapolis 500 and the first woman to run a full Verizon IndyCar Series schedule, and businessman Wink Hartman. SFHR has competed in the Verizon IndyCar Series since 2008, earning its first victory in 2011 at Kentucky Speedway.